Which time is suitable to drink water? How do we know we are taking sufficient amount of water? And these questions are really right to ask because I heard by many experts they advise to drink plenty of water or drink 8-10 glasses of water daily. But in this busy schedule how is it possible to remember of you had drunk the water or not? 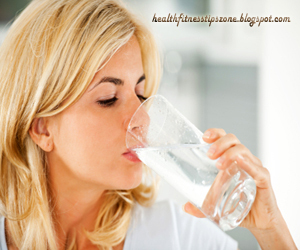 So, I would like to tell you there few timing which is easily to remember and helps you to follow your water diet plan. Start your day with a glass of water: When you got wake up early in the morning take a glass of water. It is not easy but while you take it regularly it will be include in your daily habit. Before you start meal: Always drink a glass of water before you start the meal. Drinking water before taking a meal can actually improve digestion. You can also drink water amongst mealtime and having another glass of water while you finish the meal. Replace soft drinks with fruit juice: I am not against of soft drinks but if you replace soft drinks with fruits Juice is double beneficial for you. Fruit juice is rich in taste, minerals, proteins and this is also fulfilling your body water necessities. And manage your water diet plan. Include salad in your diet: It is also a good way to manage your water diet plan because salad is not only contains in mineral, proteins, inositol, fiber, folate, inositol, anthocyanins, quercetin and potassium etc. even it also is a great variant to replenish supply of water. These seems like healthy eating habits than a diet plan. Good one for junk eaters. To lose weight people should actually change their lifestyle than follwing a diet plan. This seems like one such change. Good looking blog with interesting nice information.The information you have given are really informative.Thanks for sharing. Good diet tips to boost the health and fitness level. Fresh fruits and vegetables based diet is more effective for the weight control. Replace your fast food with veggies food. 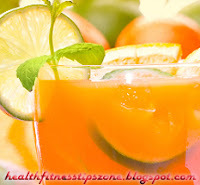 Replace your soft and soda drink with fresh fruits juices. Nowpt.com - At NOW’s private gym located in Midlothian VA or at your location anywhere in Richmond VA we’ll tailor your personal training routine to maximize the effectiveness of your new diet. Richmond offers tons of great health food stores and healthy restaurants to make this easier. Appreciate you on sharing such useful healthy tips with us. Eating good food and proper workout are basic thing to be healthy. Avoid eating junk foods and soda. Eat preferably green veggies and fresh fruits.